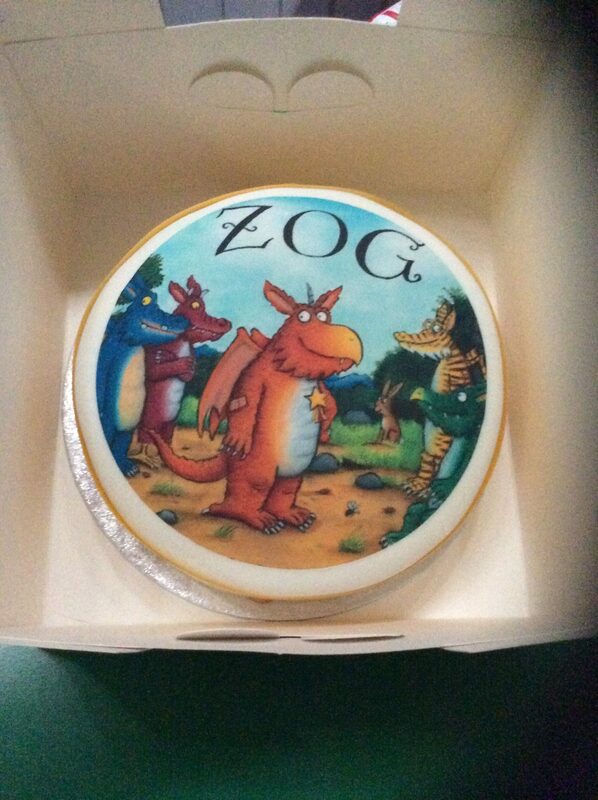 Wrens have worked their socks off this term creating their film ‘Zog’, for our final event. We wanted parents/carers to come and view our film, so we wrote them an invitation. 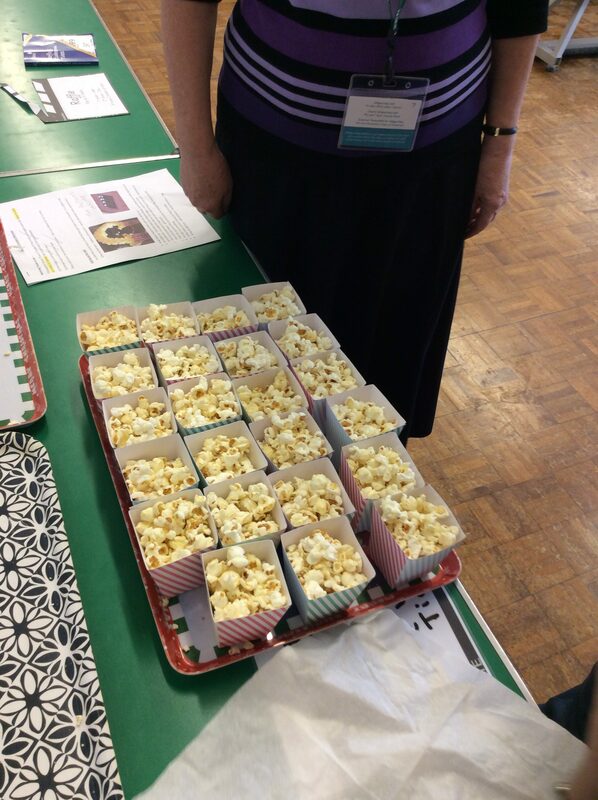 They all received popcorn on arrival, which went down really well. The film was really well received, and got raving reviews by our audience. Here it is for you to enjoy too! I think it’s official now! 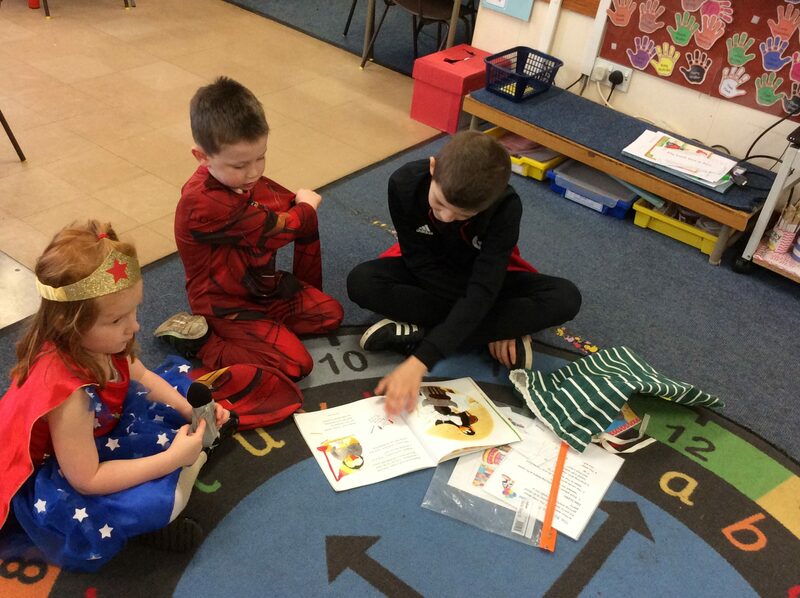 Wrens now know the story ‘Zog’, by Julia Donaldson inside out. We also decided to sing ‘ A Million Dreams’, as this is one of our favourite songs at the minute, but also as it’s about dreams. We also got some great donations for our raffle as well. Here are a couple of them. We would like to say a big thank you to everyone for all their support, and generosity. We have been busy making cards for our lovely mums, and learning to sing this song for them. They do an amazing job, and we just wanted to say… Happy Mother’s Day to them! 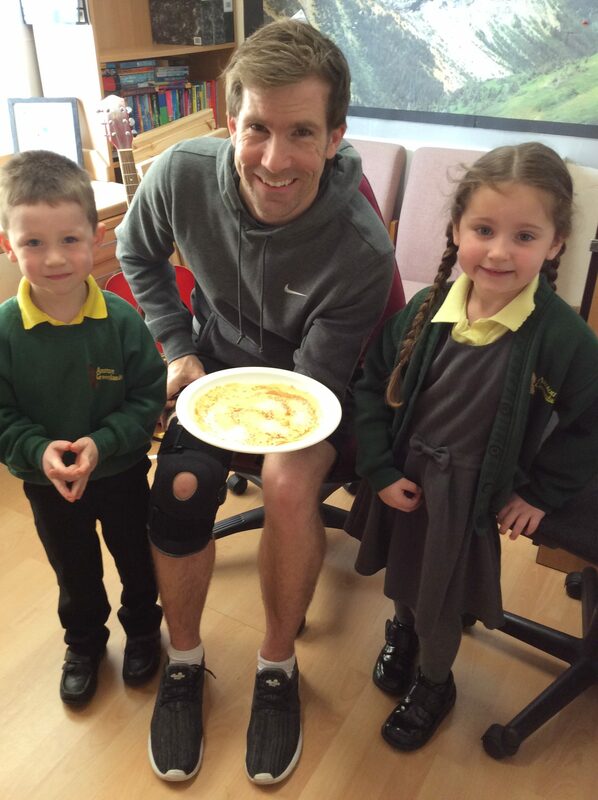 Shrove Tuesday – means it’s time to eat…. PANCAKES! Wrens helped make, and obviously eat pancakes at snack time. They had a choice of various toppings, which made them go down so well. It also gave them an opportunity to work on those knife and fork skills too. 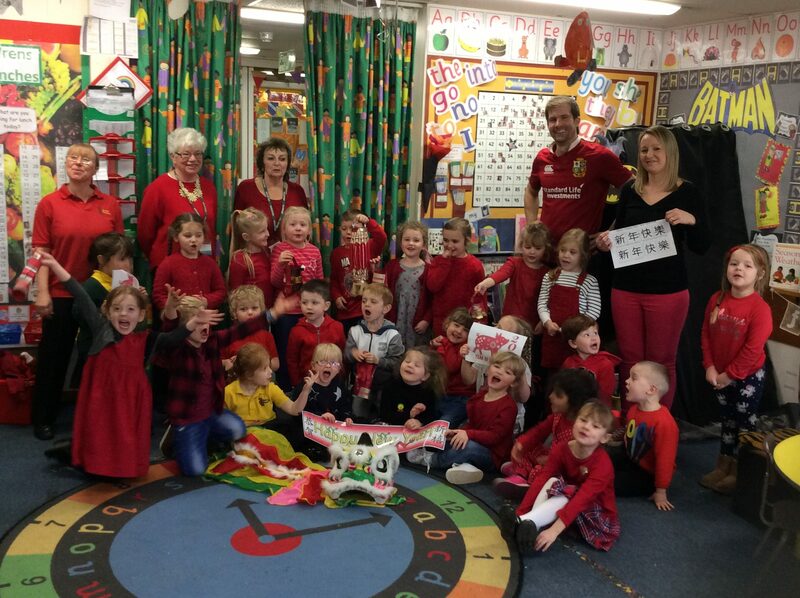 The children all talked about how they were going to be celebrating ‘Shrove Tuesday’ with their families too. We then went and made a special delivery, which was greatly received. 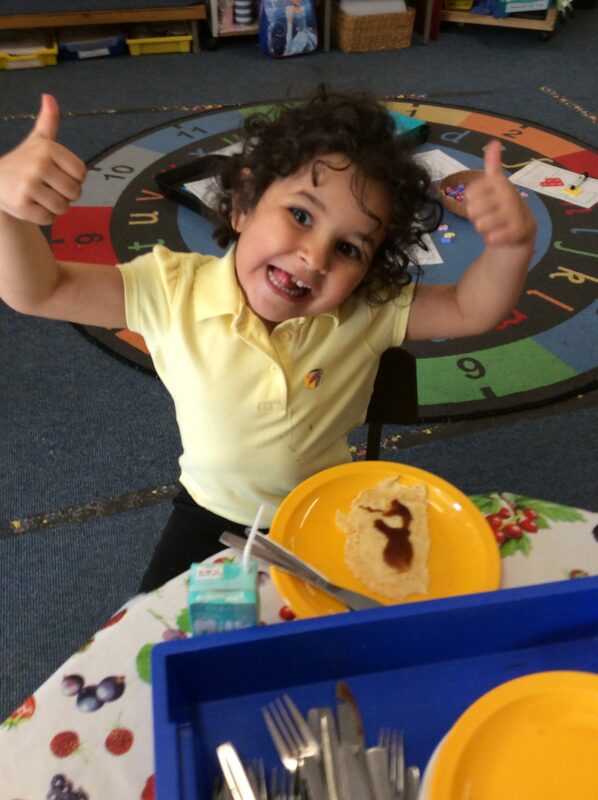 A big thumbs up for ‘Shrove Tuesday’. 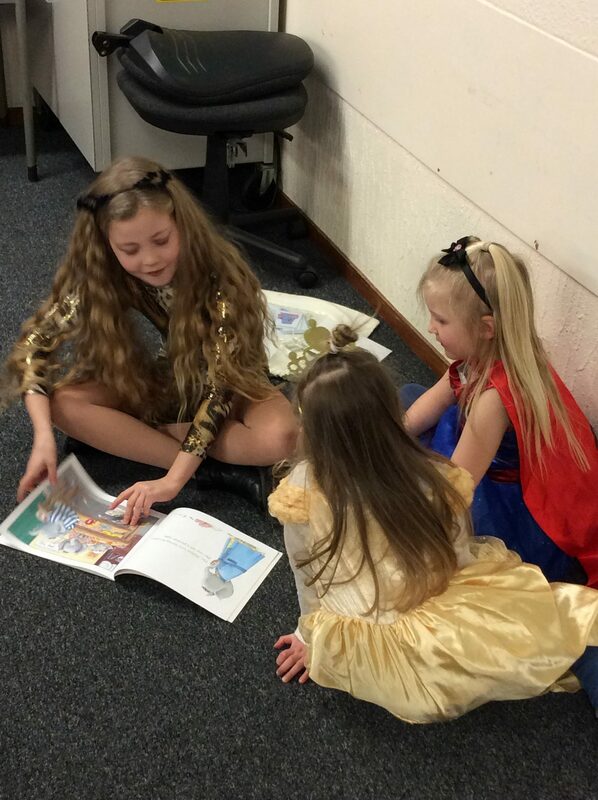 Happy World Book Day 2019 – Reading is Power! 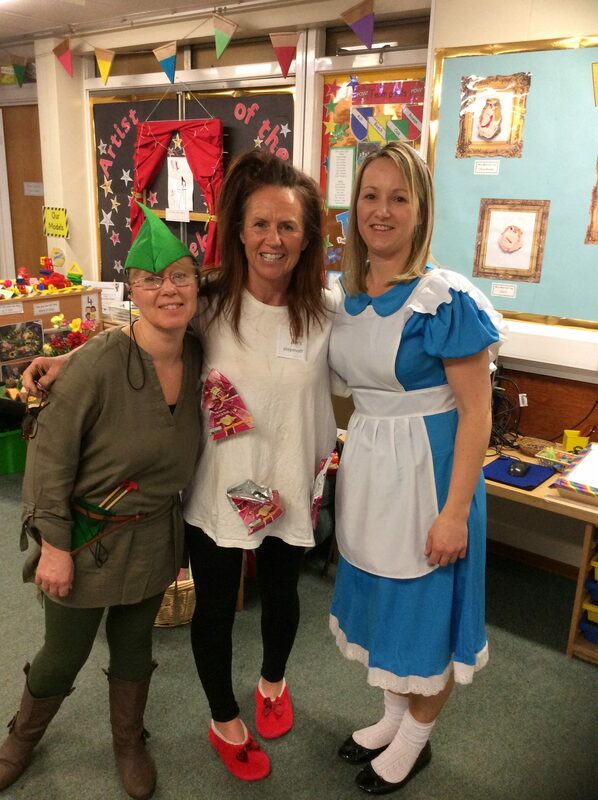 Wrens have had a great time celebrating ‘World Book Day’ today with the rest of the school. 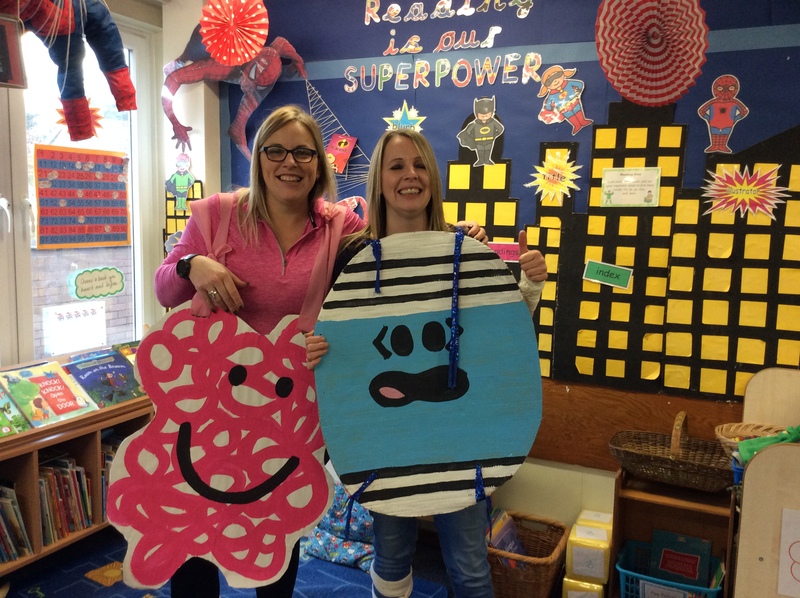 Look at the characters we chose to dress up as….. 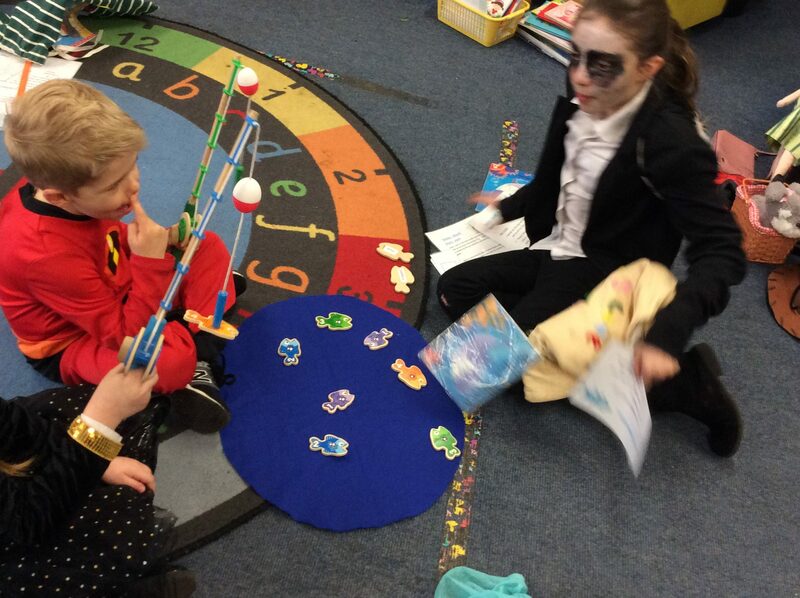 In the afternoon the older children in school read stories to us, and played games linked to that book. 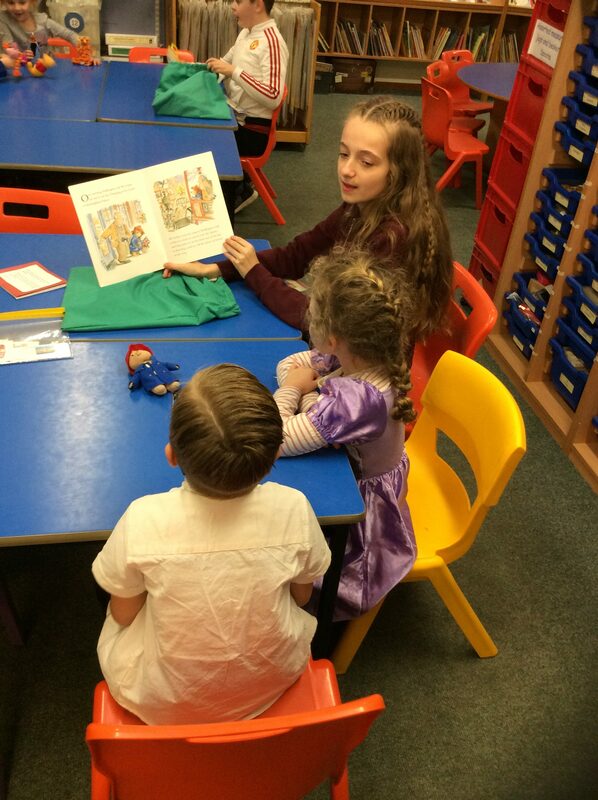 We also went to different classes to listen to staff reading stories. What a great day! Wrens have been busy making Chinese crafts, and participating in celebrations to ring in the year of the pig. We came to school dressed in something red, as this in Chinese culture means good luck. The golden colour symbolises wealth and also happiness. We found out that people who celebrate Chinese New Year, decorate their homes, with red and gold decorations, so here we are making Chinese lanterns and candle holders. We also made money packets, but the significance of red envelopes is the red paper, not the money inside. Wrapping lucky money in red envelopes is expected to bestow more happiness and blessings on the receivers. Hence, it is impolite to open a red envelope in front of the person who gives it to you. We have also been learning how to write in Chinese too. After all this work, we decided it was time to try some Chinese food. We sat in our restaurant, listening to lovely Chinese music, and some of us had a go at using chopsticks! We learnt all about the Chinese Zodiac, and how the twelve animals were chosen. We then had our very own race, but we ran. We thought it was a safer option! 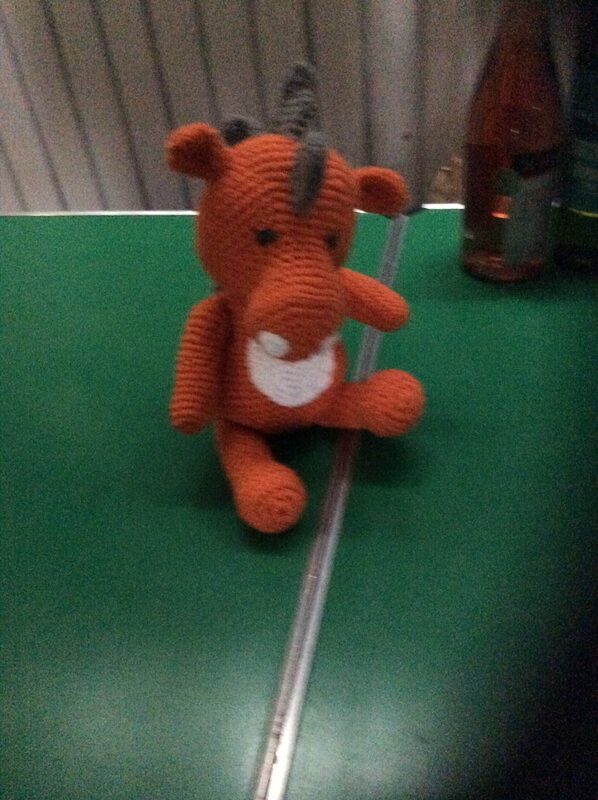 We all found out which Chinese Zodiac sign we were too! News Flash! Greenlands Staff & Parents Netball Team are in Action! 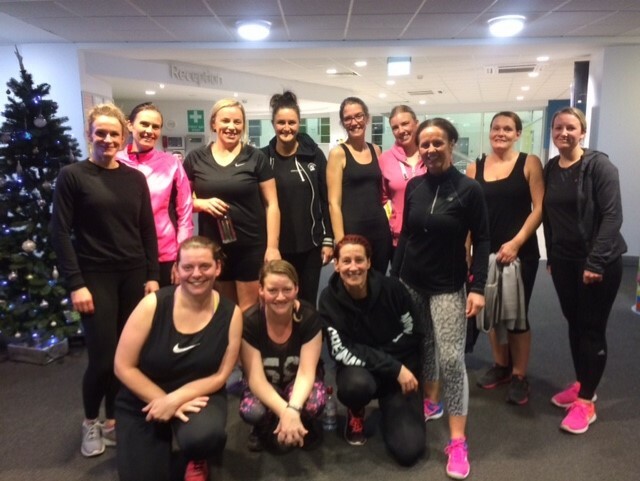 Five months ago some parents and staff started to attend our ‘Back to Netball’ sessions after school on a Thursday. This has progressed so much; that they are now playing competitively in the Bassetlaw netball league on a Monday night. After quite a lot of deliberation, and laughter, it was decided that they would be called ‘Elle Plates’. Their first game was Monday the 7th January, against Panthers, which was very challenging, but everyone came off the court brimming with pride. They all put 100% effort and are looking forward to their future games. If anyone would like to get ‘Back to Netball’, we are still running training sessions every Thursday at 3.30pm on the junior yard. Please come along if you would like to meet new friends, and fancy a learning a new sport. Here are the ‘Elle Plates’. You could be one too! Our trip to Totley farm had arrived, and we were all so excited just to be on the coach. We went to act out the Christmas story, and as soon as we got there we were put into our costumes. 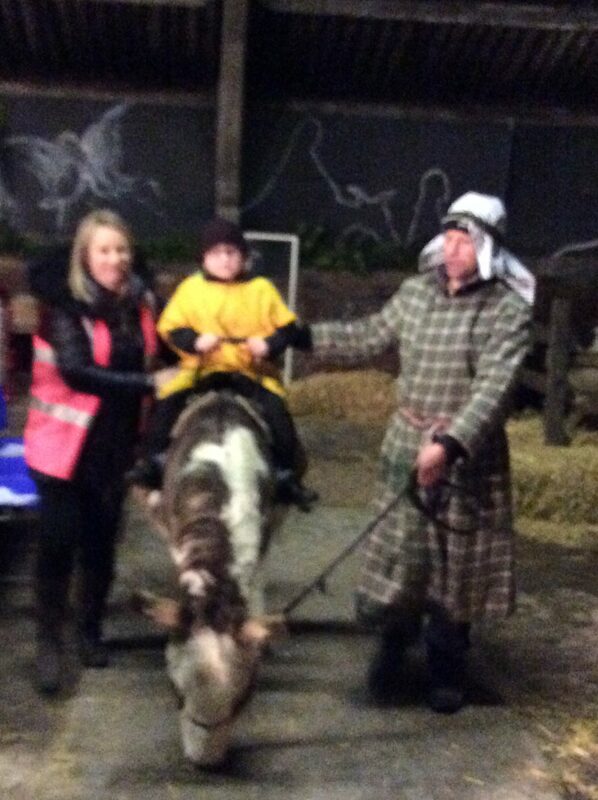 We all helped to re-tell the Christmas story, and sang some Christmas songs too. 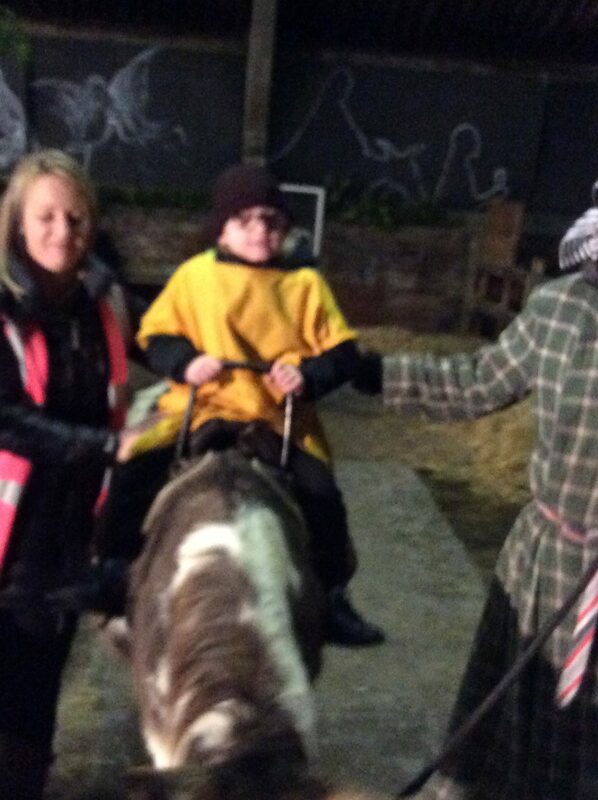 We even got to ride on the donkey, just like Mary did. We held the baby lambs, and then we went to meet Father Christmas. Exciting times! Wow! This was our first time visiting Totley Farm, and it was fabulous! 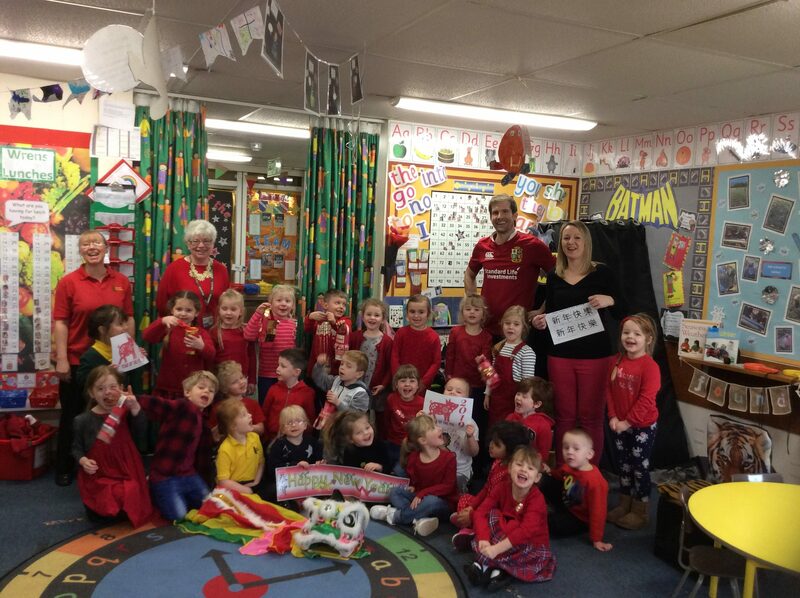 We absolutely loved it, and everyone was keen to participate. 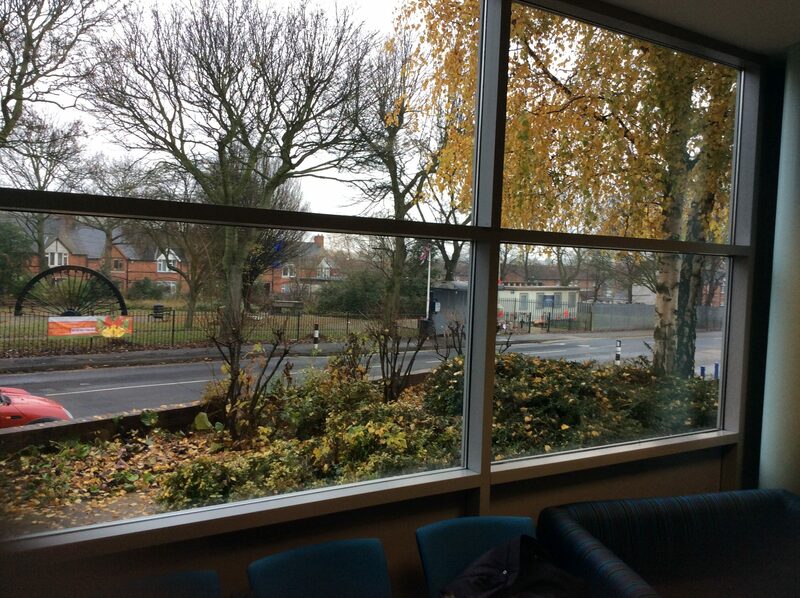 We were so confident in our new surroundings. Our First Performance – Go us! Well the day had arrived and we were so ready! We had put lots of hard work into learning our little songs and dances, all we needed now was the confidence to perform. We learnt songs about our bodies and performed them for our parents/carers. We were amazing! 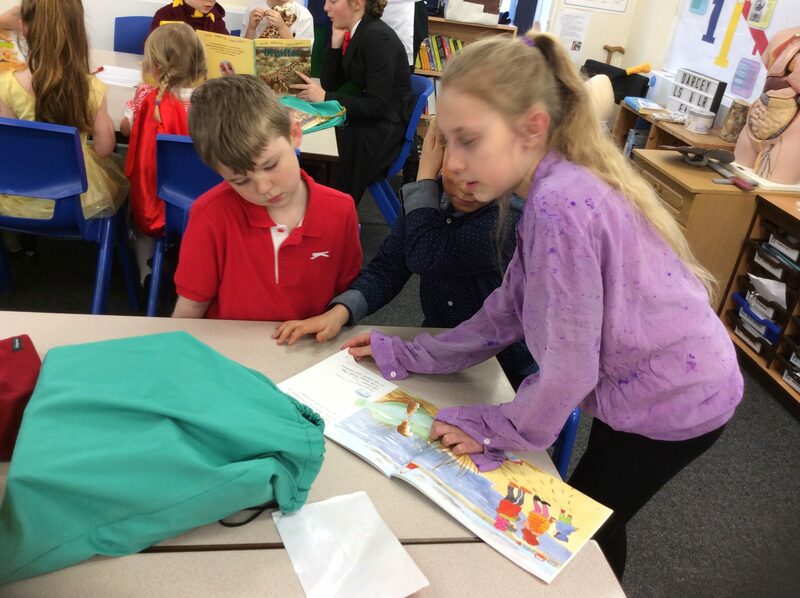 Here we go again….. caring and sharing! On Friday, we all came to school dressed in spotty or Pudsey Bear clothing to support ‘Children in Need’. We also made our biscuits look spotty, designed a new bandana for Pudsey, and coloured him in too. At playtime, we went and bought some buns and biscuits, which were kindly donated by parents and carers. A big thank you to everyone for supporting our school. 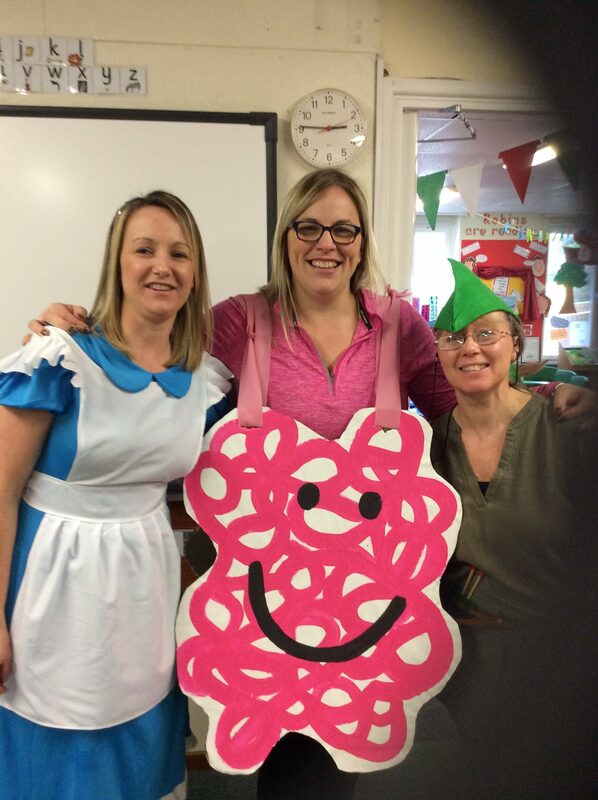 We raised £295.